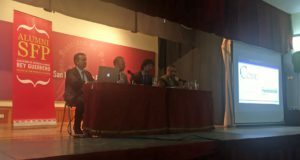 On the 3rd of November, a conference about planning inheritance was held. This is an issue that interests society greatly, and this was reflected in the large number of attendees. 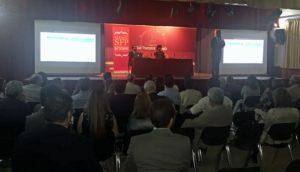 The event was sponsored by the Mediolanum bank, which is represented in our city by former student Jaime García Pérez, a family banker-group manager. 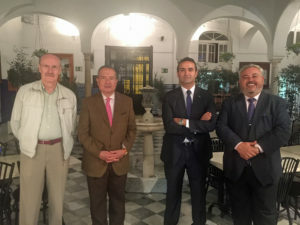 Jaime García spoke at the event accompanied by the lawyers of the Sevillian firm, Code, Alfonso Cruz Navarro, also a former student and Ricardo Torres García. After their speeches, the floor opened up for questions, which was very insightful for all in attendance.